I hope this is the right section as this is not an advantageous bug, but a glitch from the guild name change. I can't disband the Fluffy Bunny guild. There is an annoying glitch in ally chat that lists the GM name after the guild name. I tried to disband the guild using /breakguild but none of the guild names work. I typed the command and placed a space in front so you can see what I'm typing. 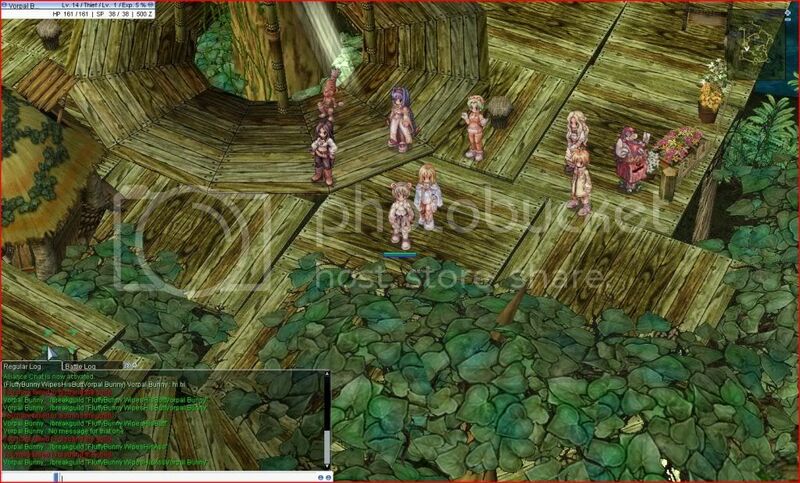 The screenshot show the glitch in ally chat and the unsuccessful breakguild. I believe this is caused by an overflow due to guild name length. When the guild's name was changed (due to reported offense), an extra character was added setting it over its limit. This also caused the server to append the guild leader's name on guild ally chat it seems -- from what I can see in the screenshot. For reference, the maximum length for a guild name should be 26 characters. The change set it to 27 characters. I'll remove the space and that should fix the issue. The name should now be "FluffyBunnyWipesHisButt" with no space in it. Thanks for the report. This is a bug, but not a client/server-side bug, but rather a Control Panel issue.